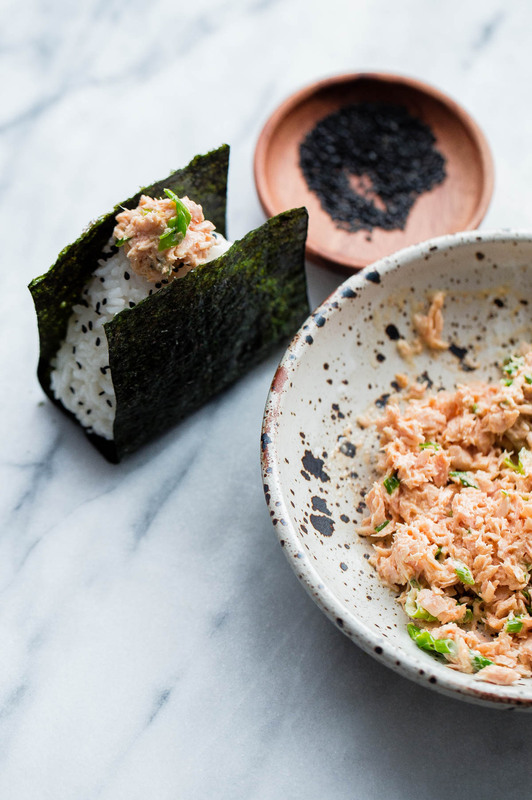 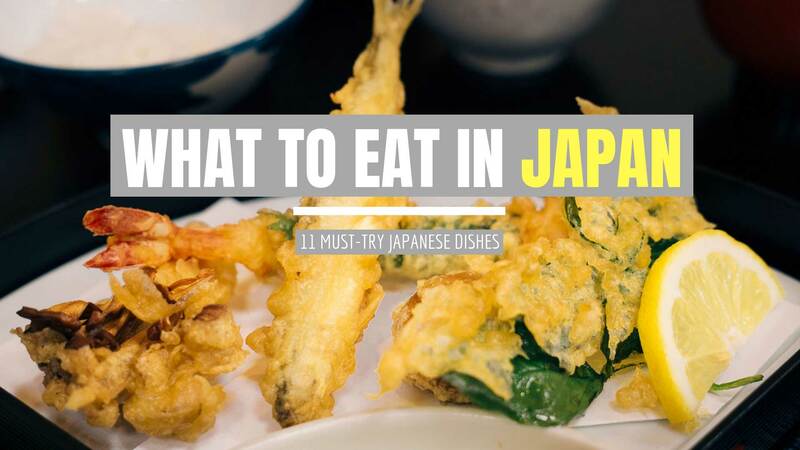 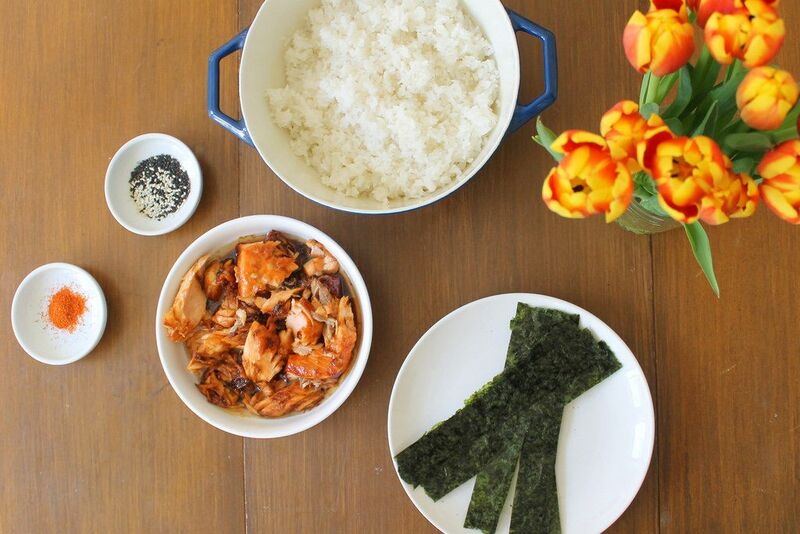 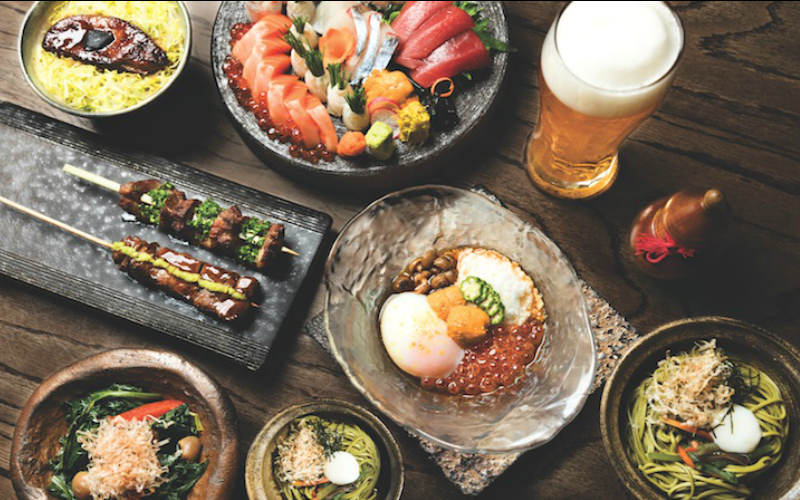 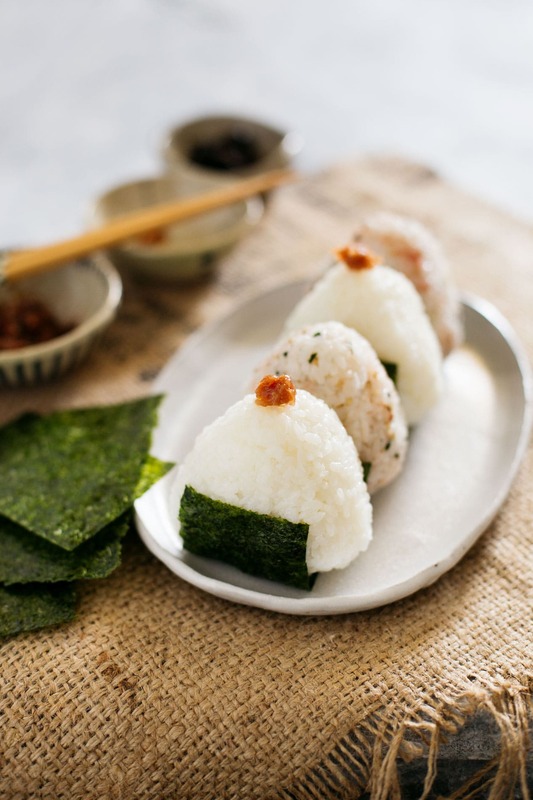 Onigiri and pickled on the plate. 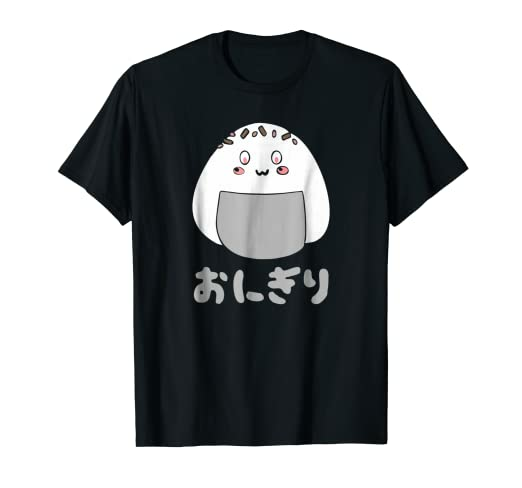 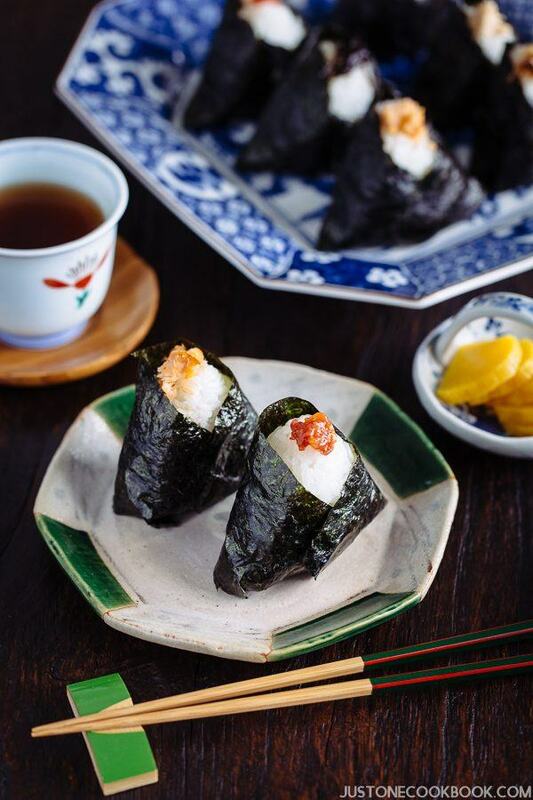 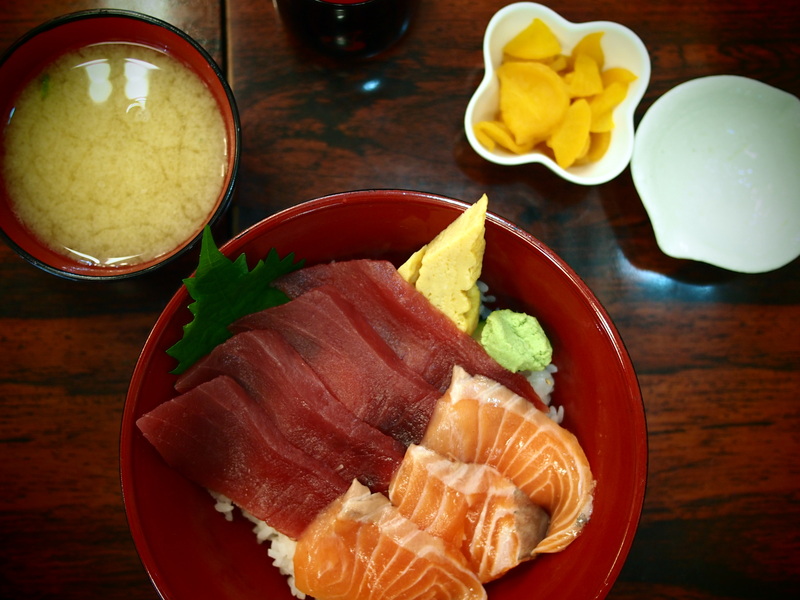 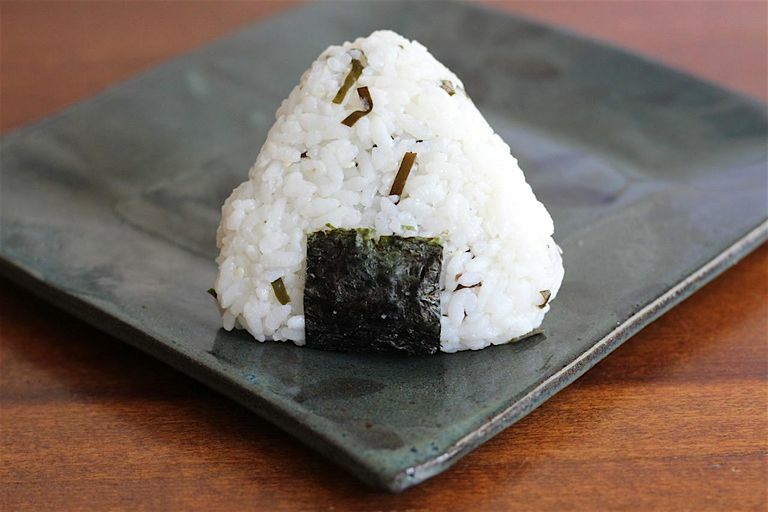 Onigiri on a small plate with tea and pickled on the side. 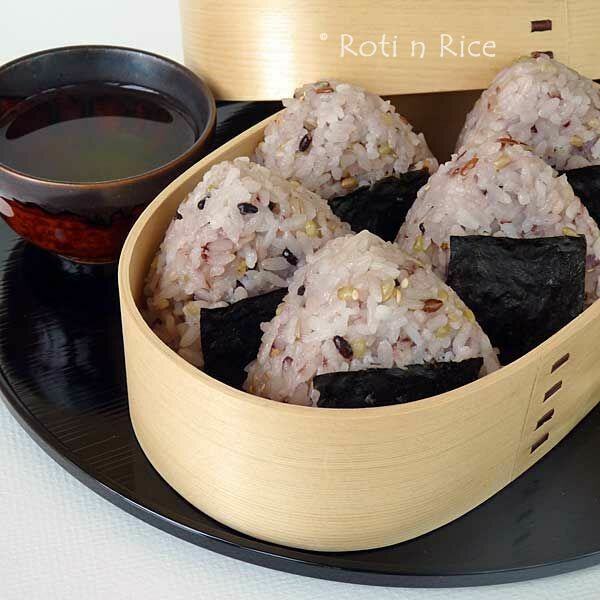 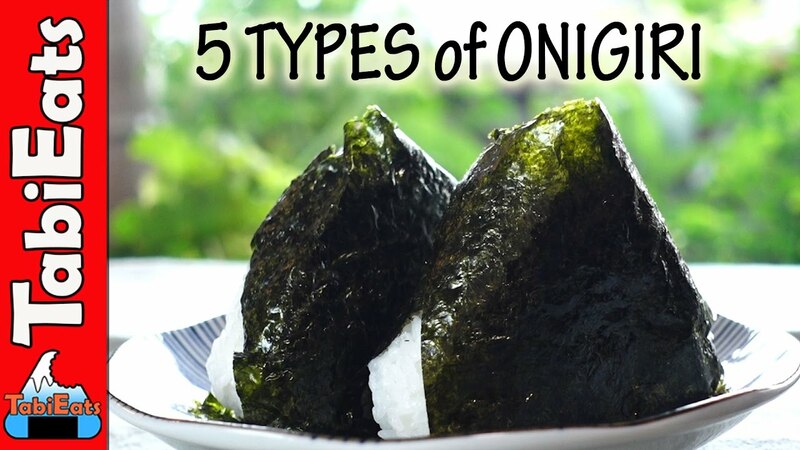 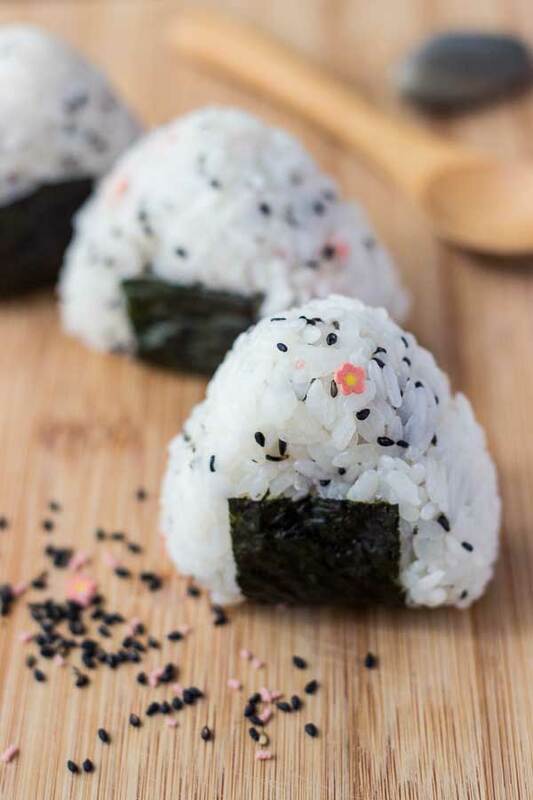 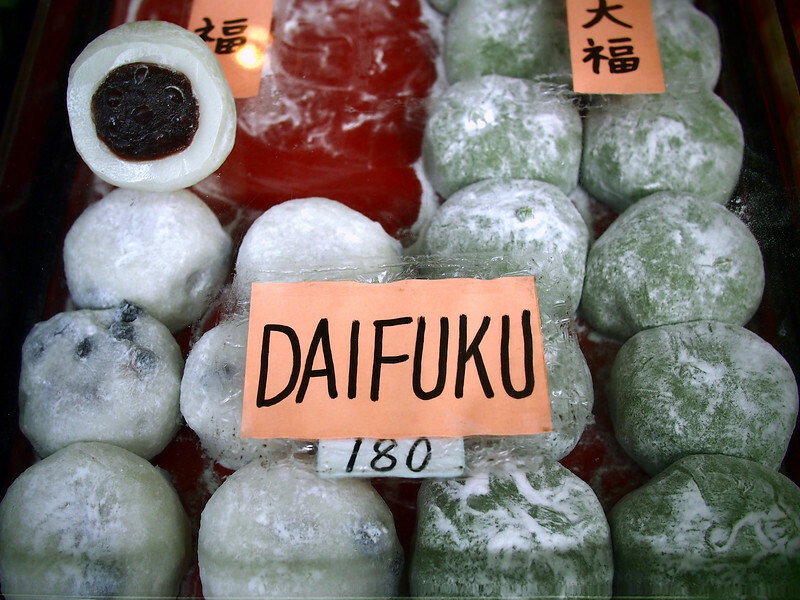 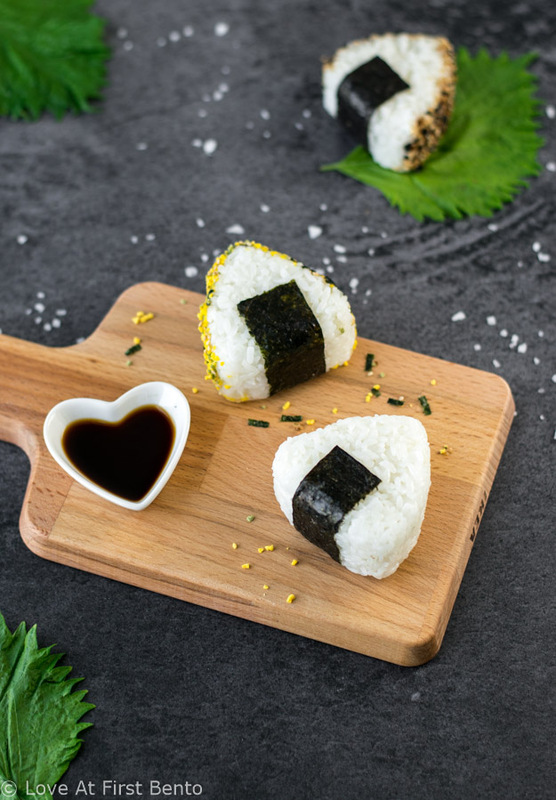 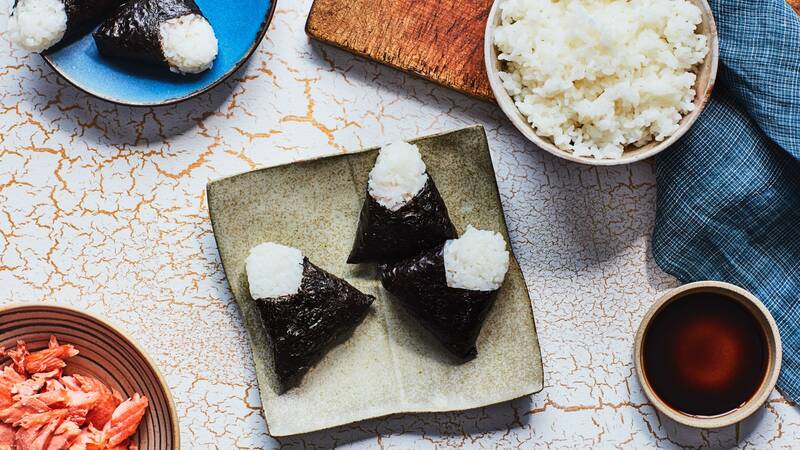 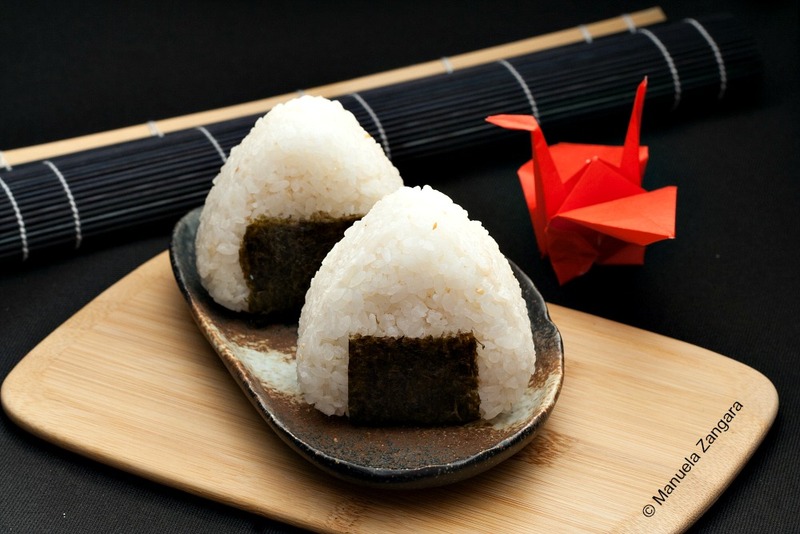 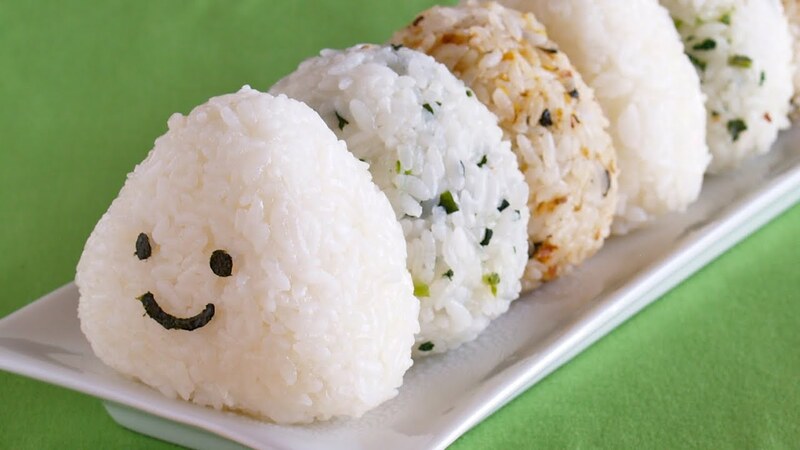 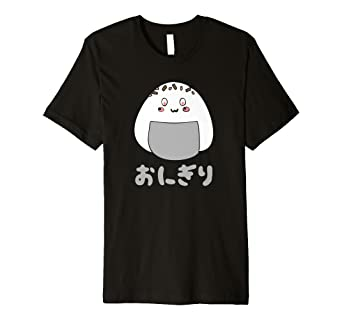 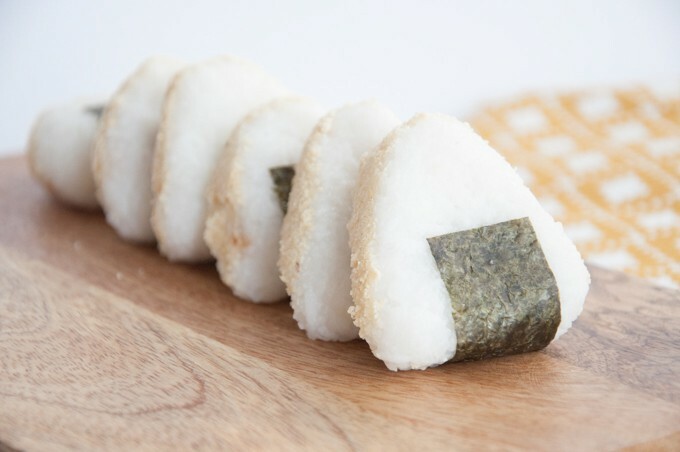 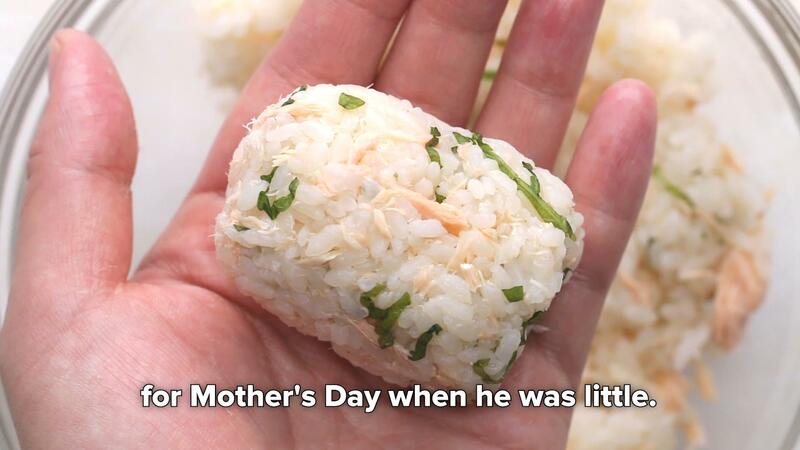 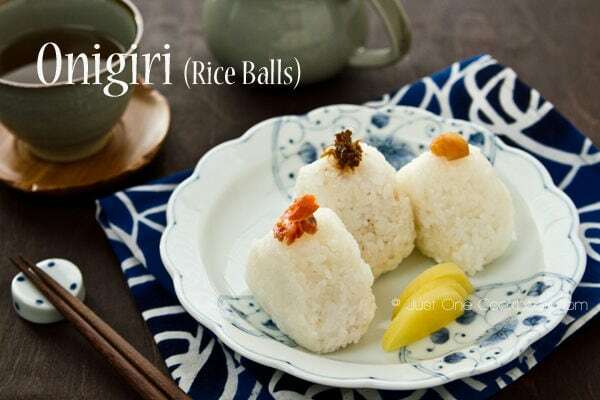 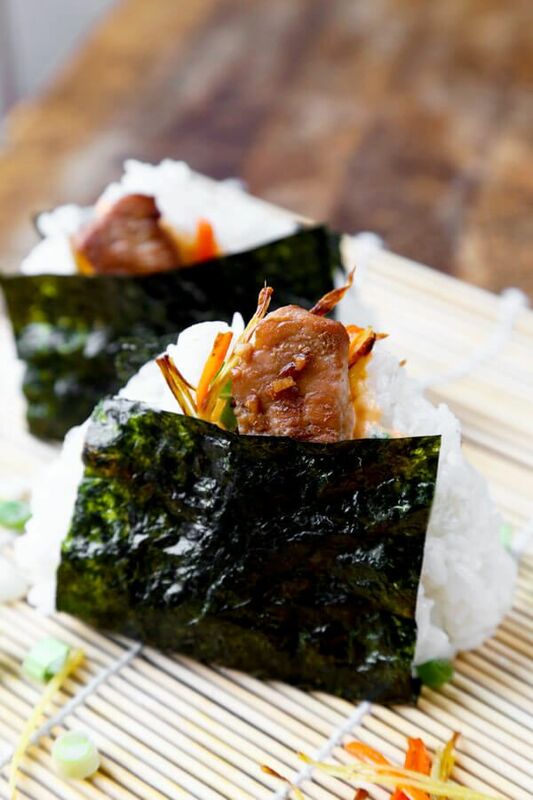 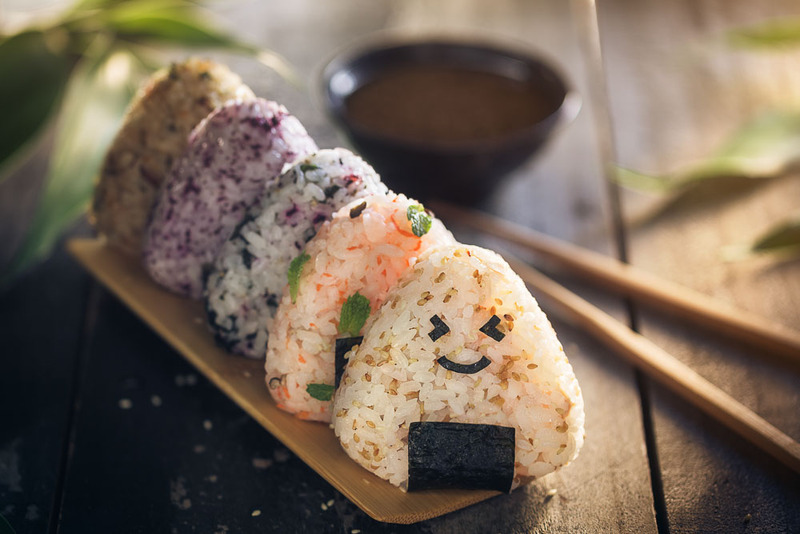 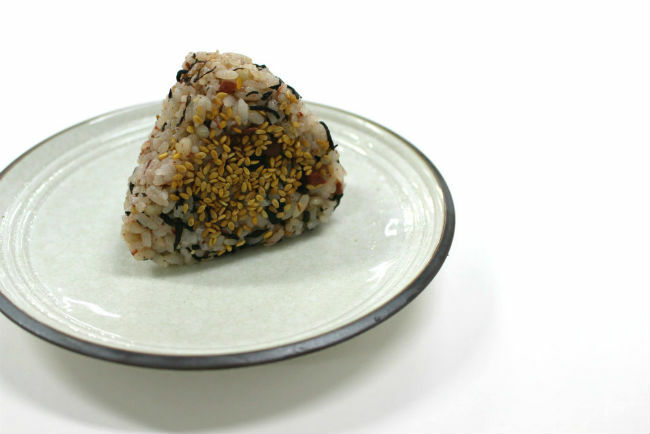 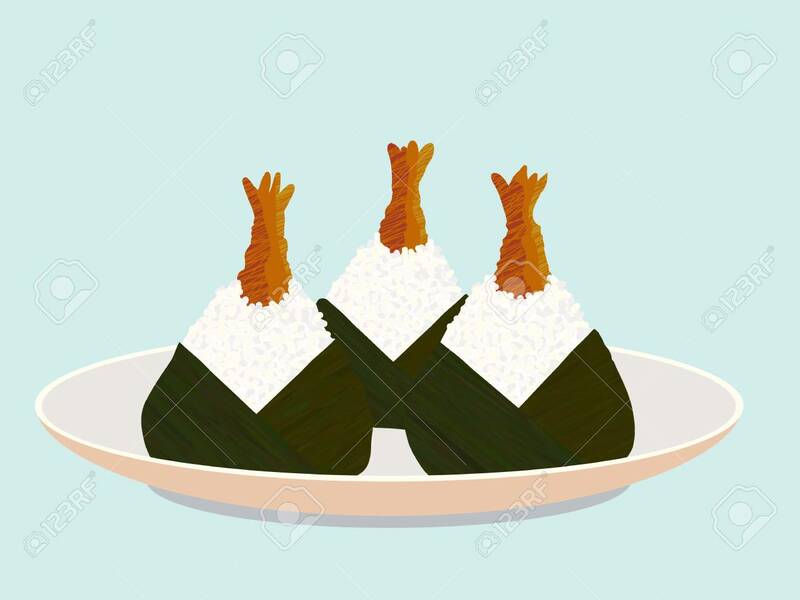 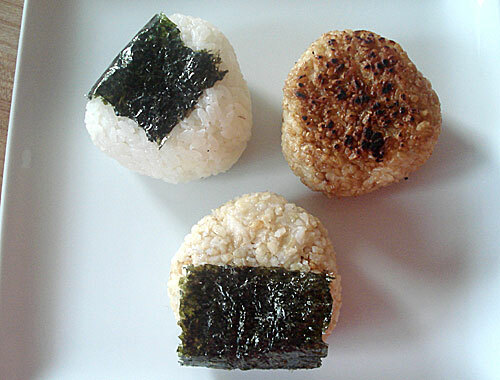 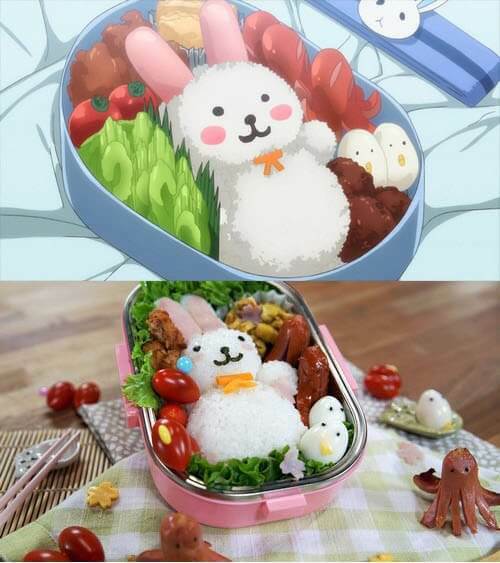 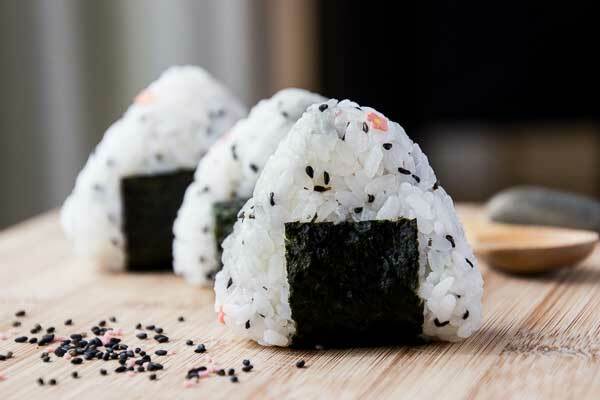 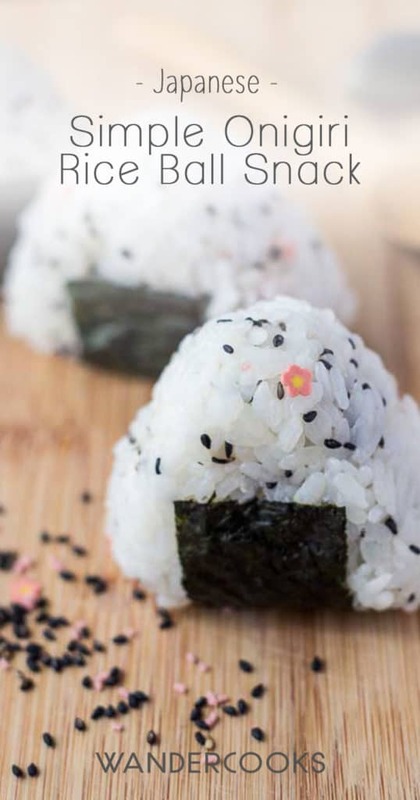 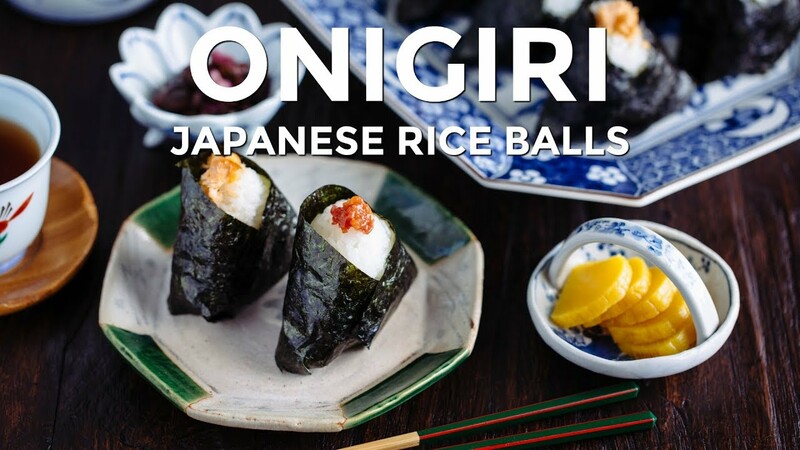 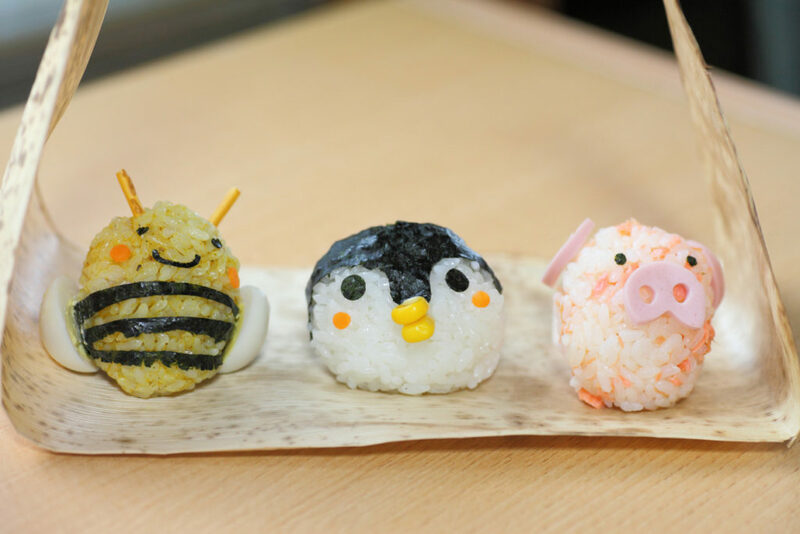 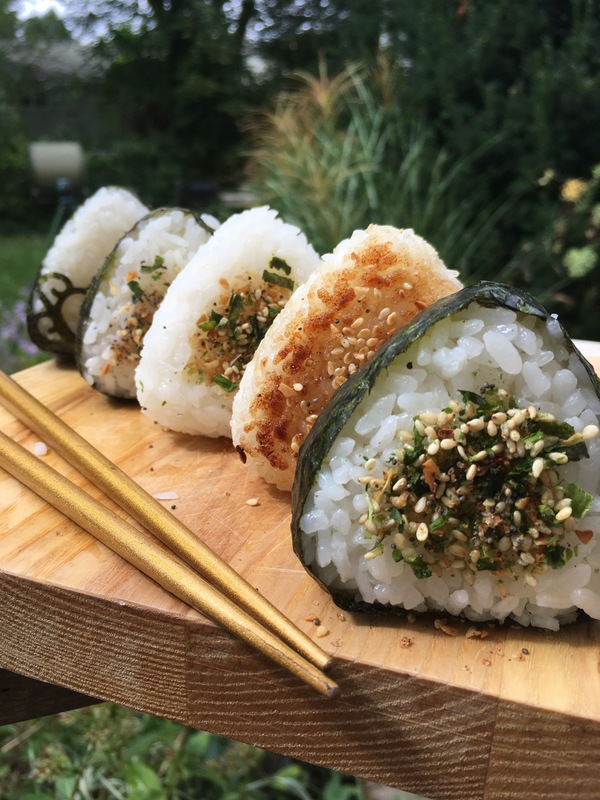 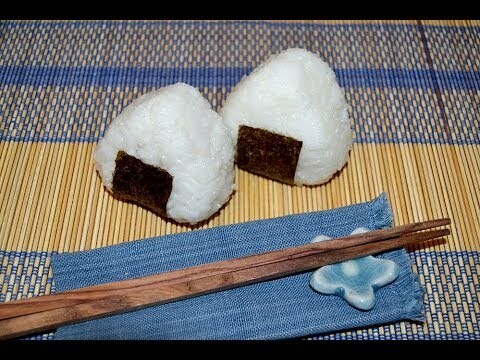 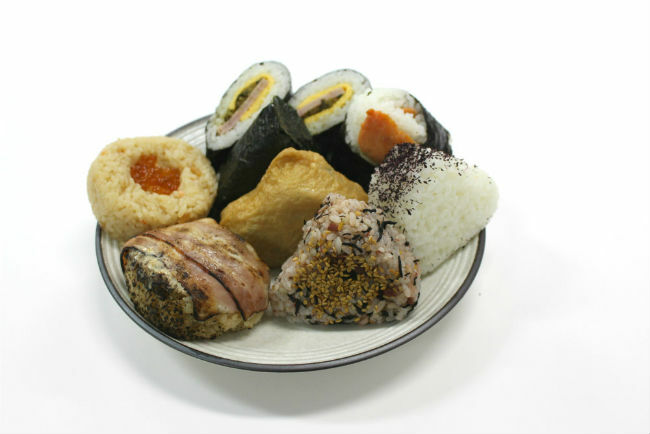 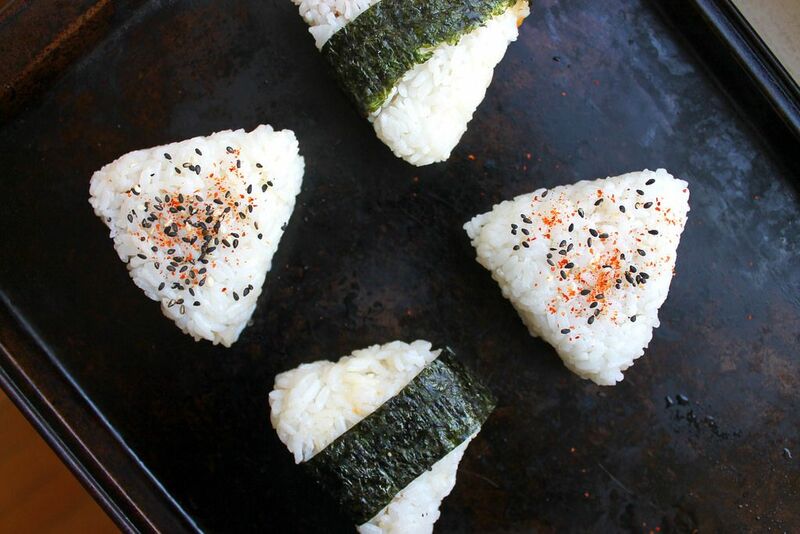 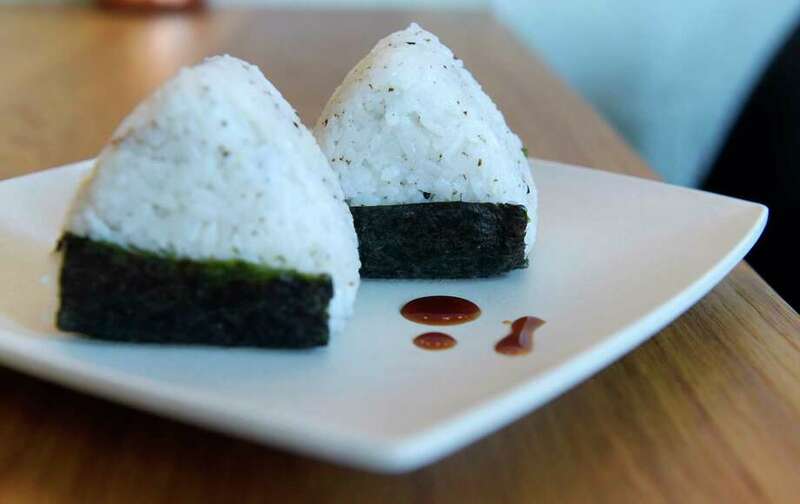 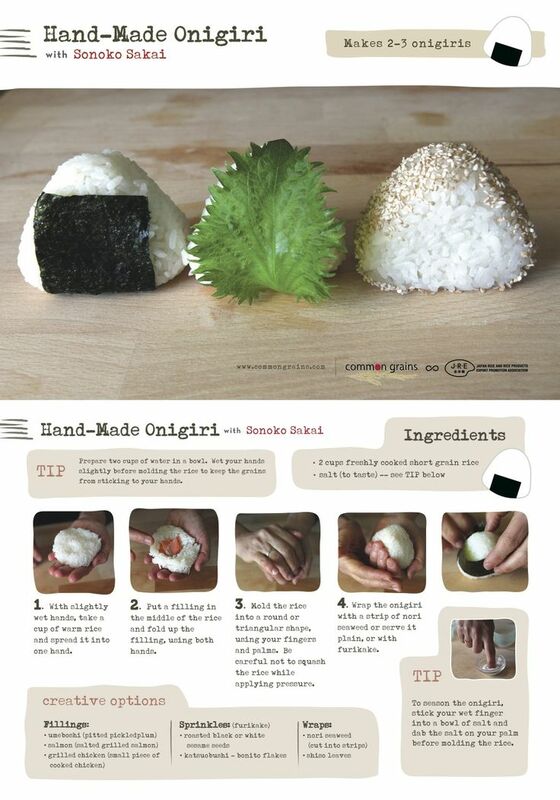 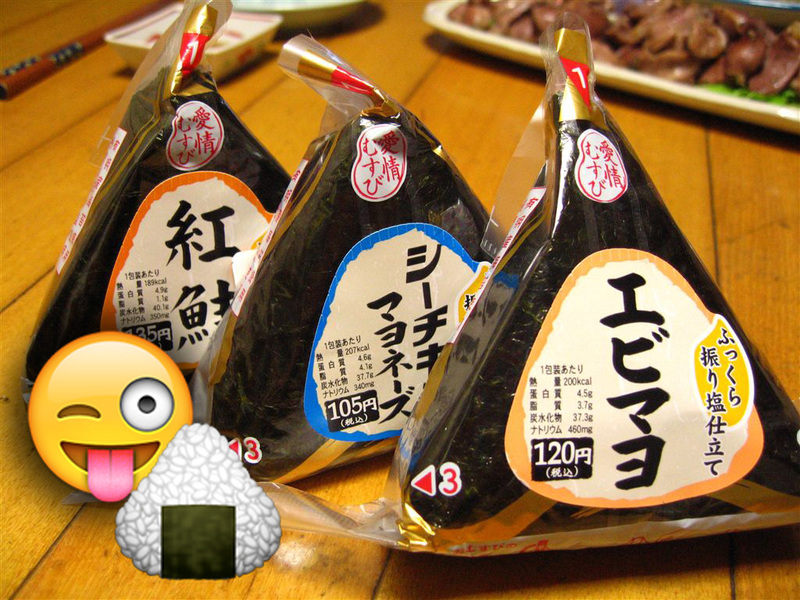 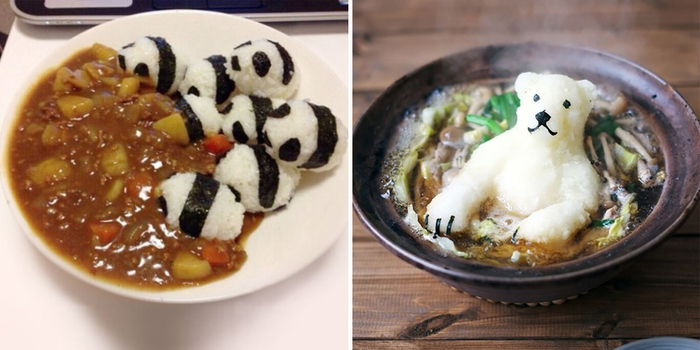 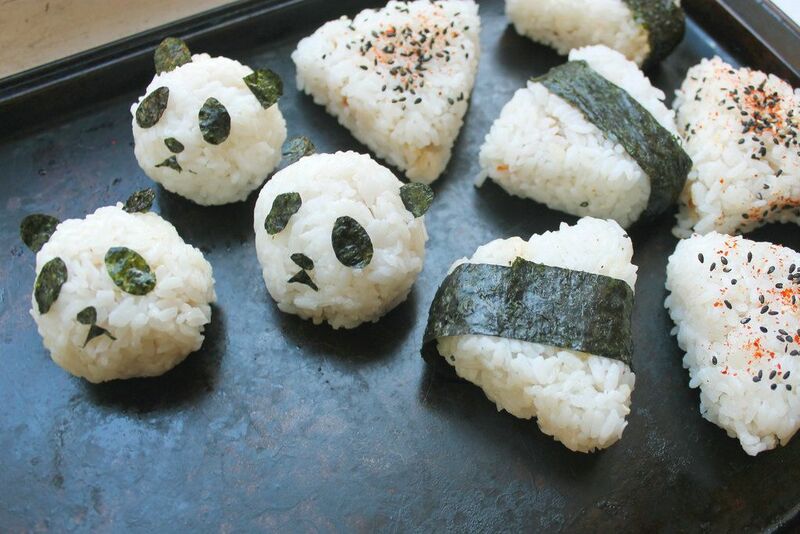 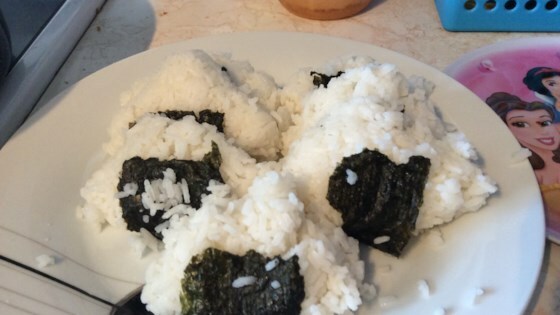 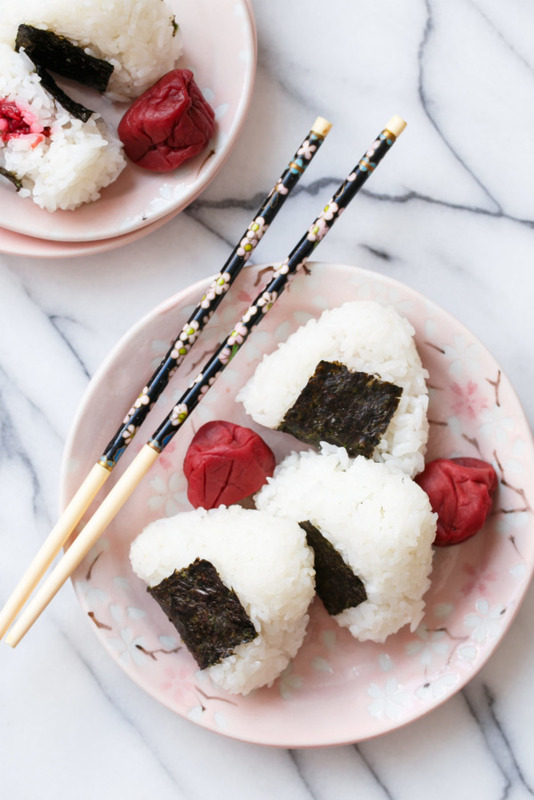 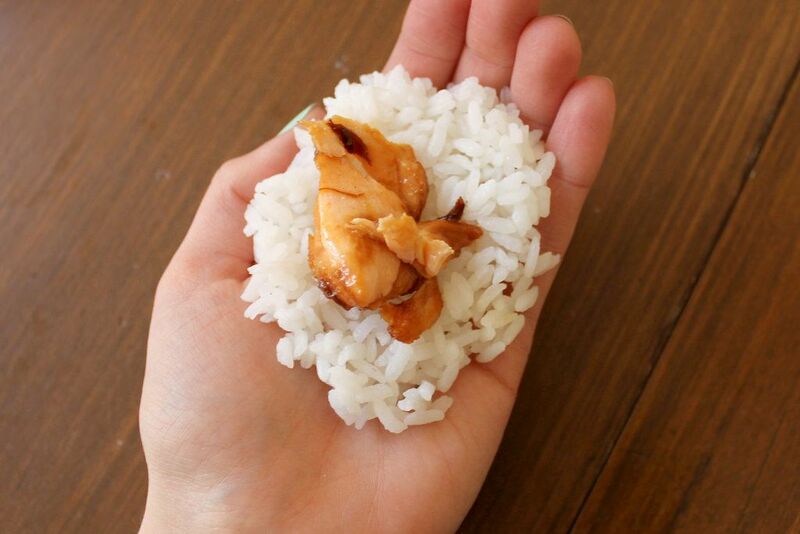 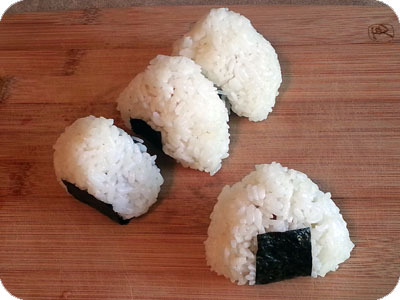 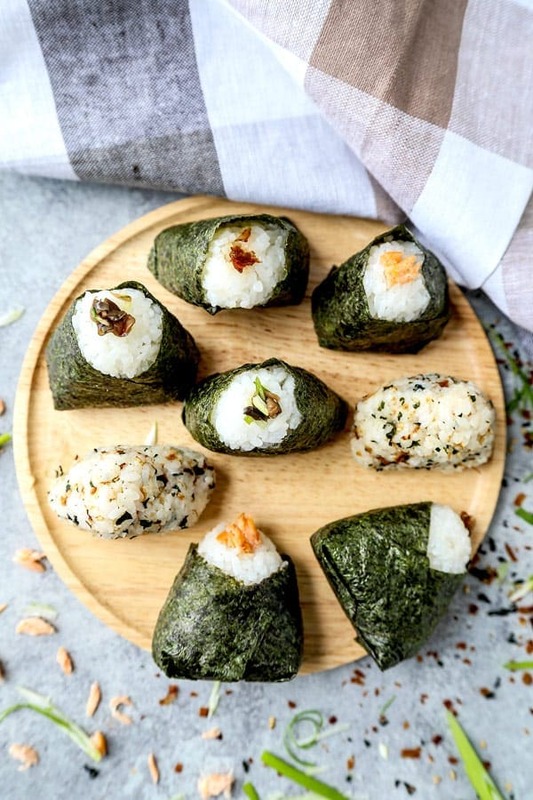 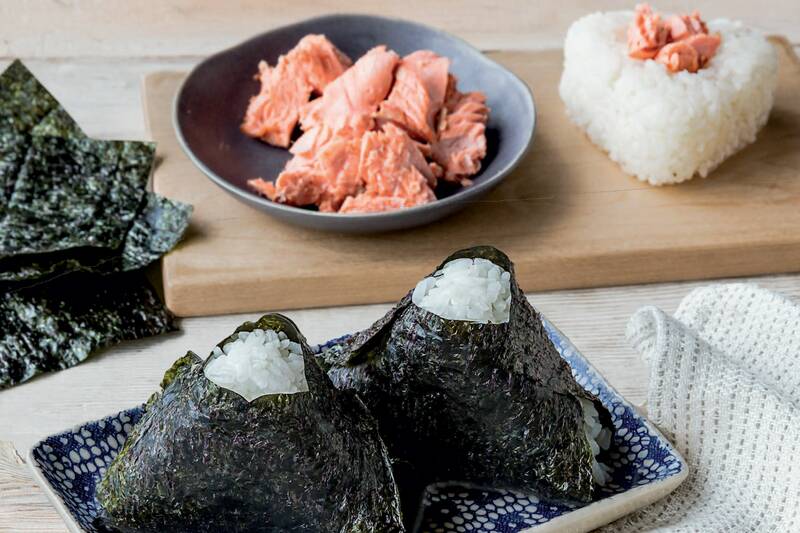 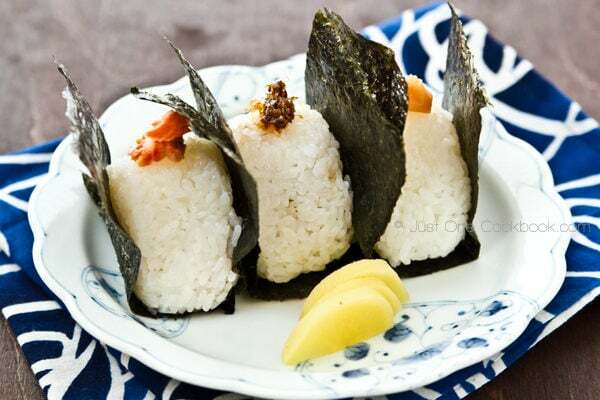 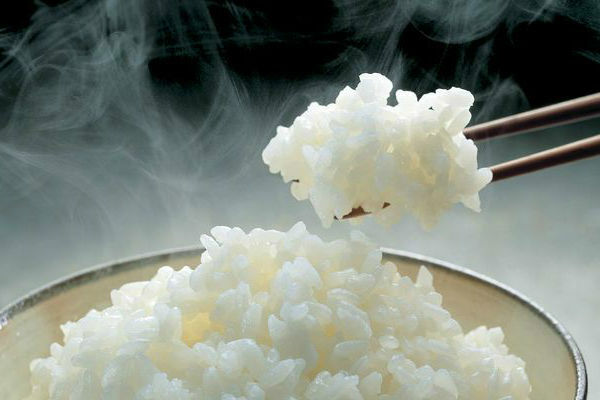 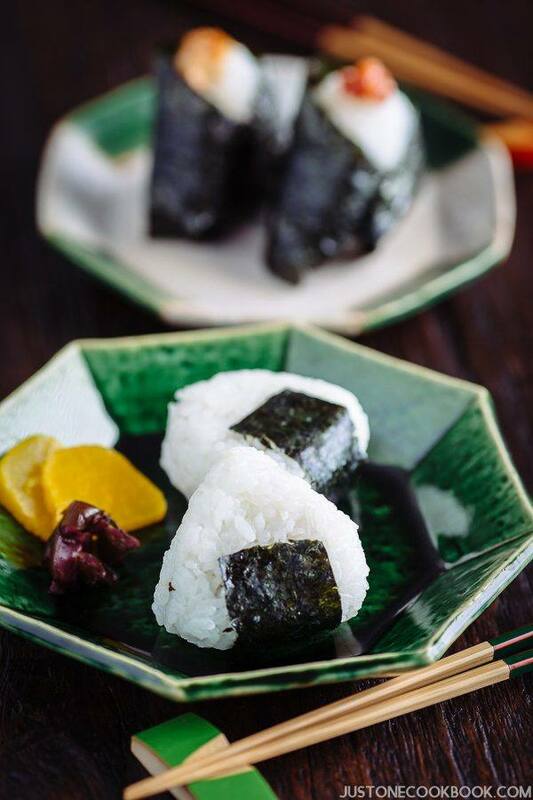 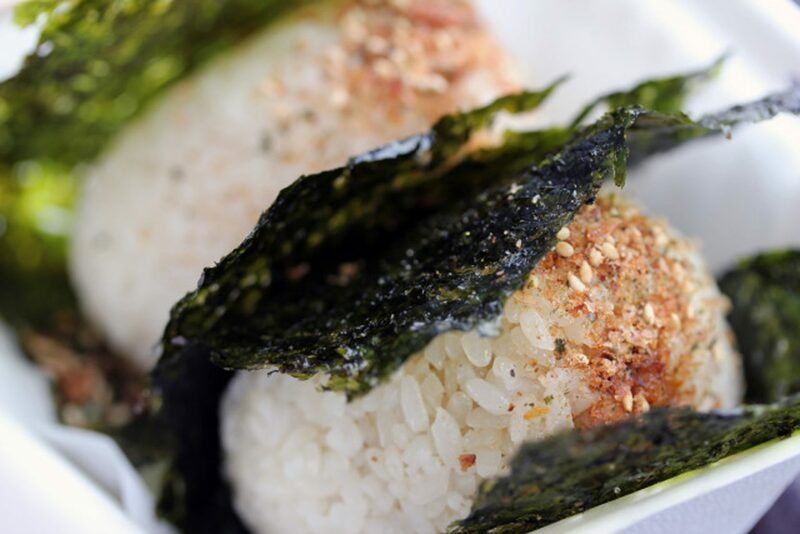 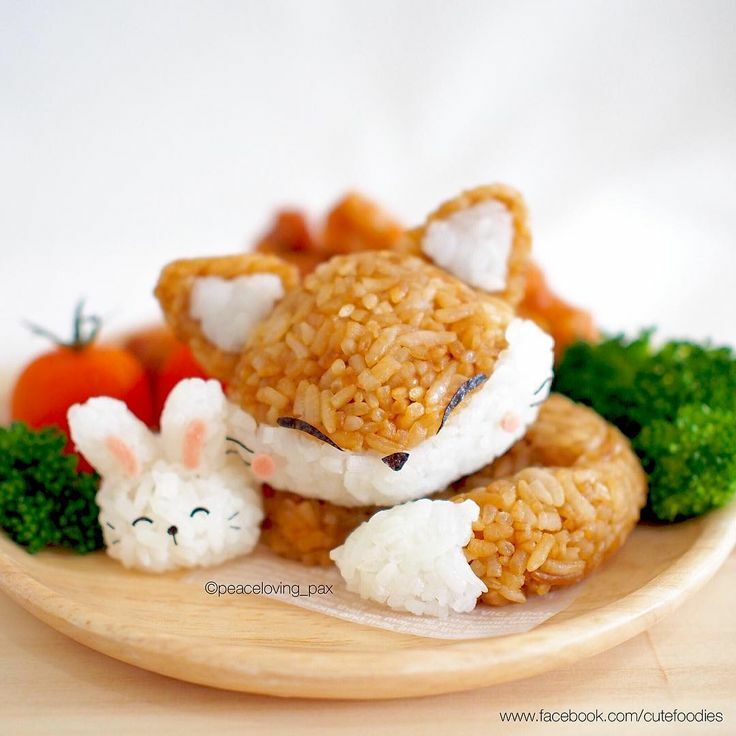 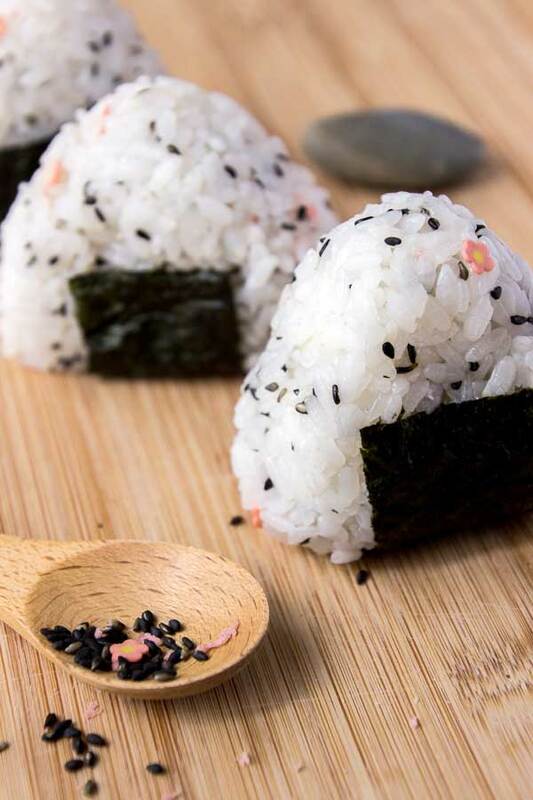 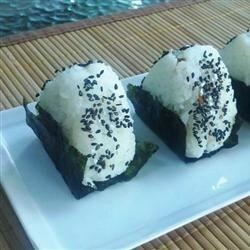 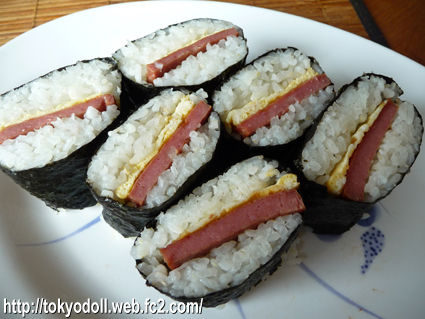 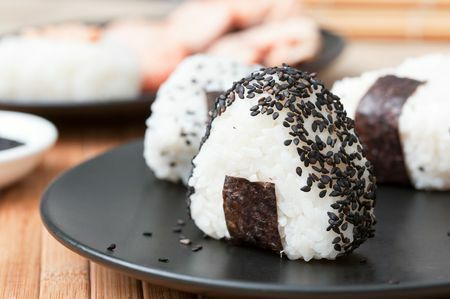 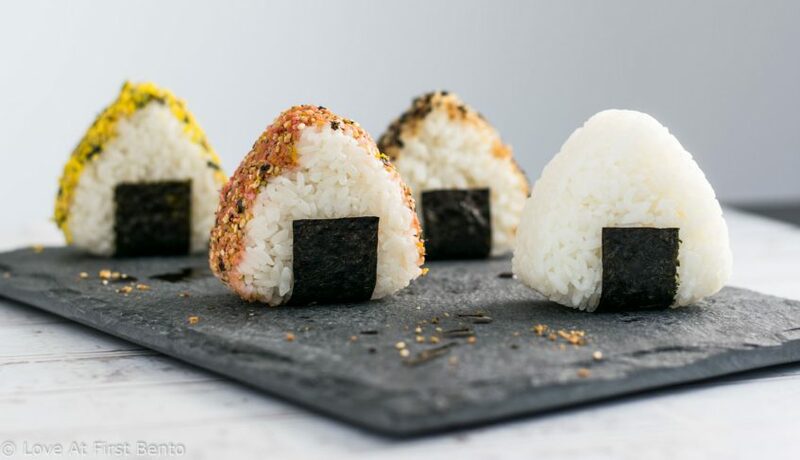 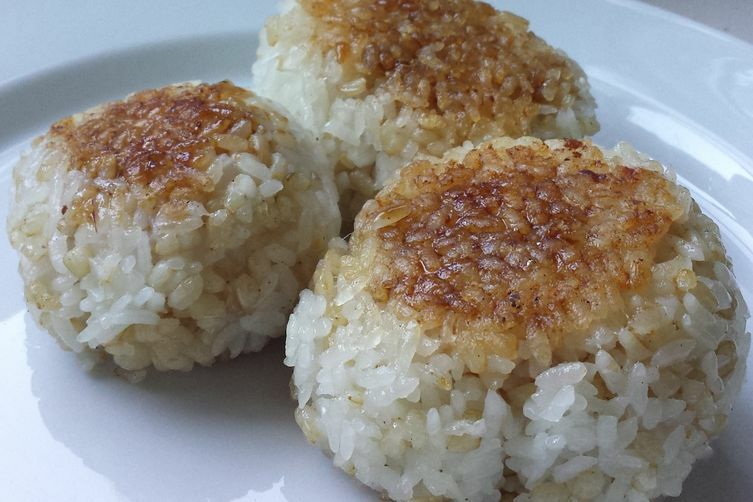 Onigiri, Rice Balls on a plate. 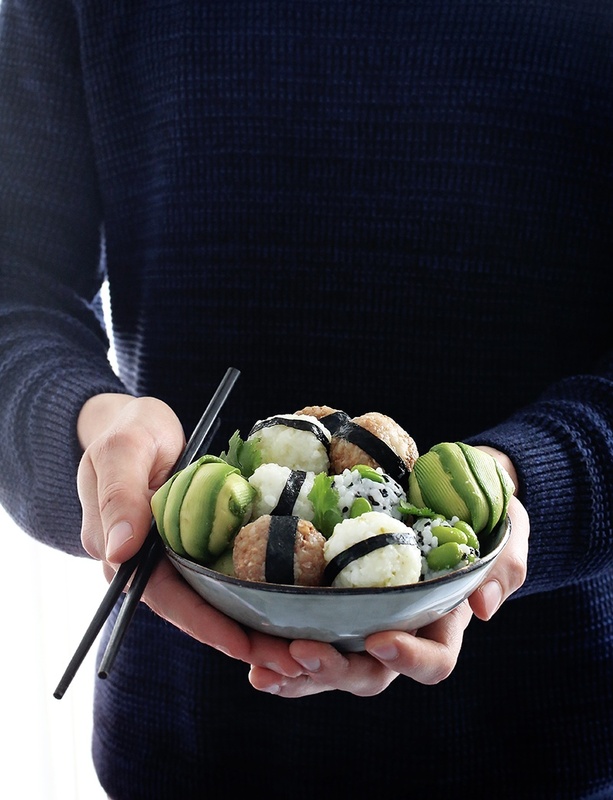 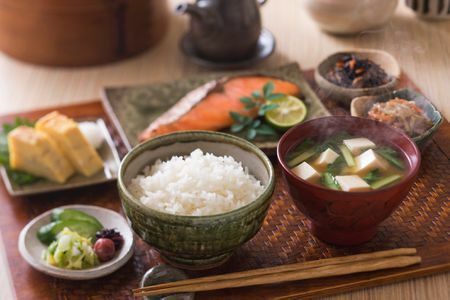 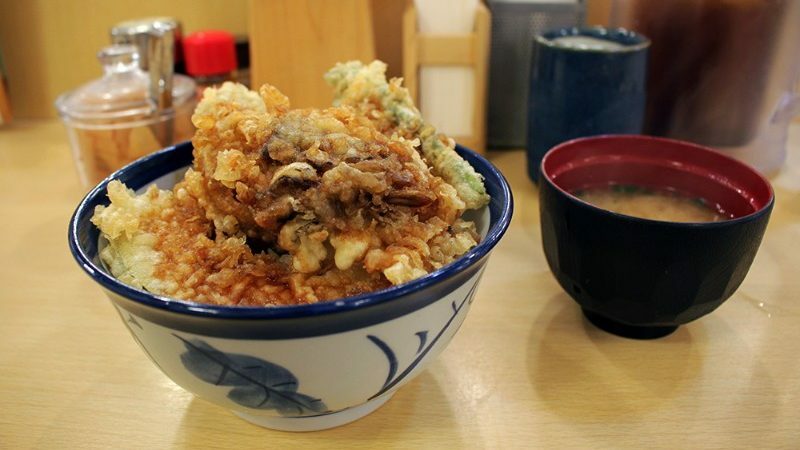 Crumbed vegies on rice and a bowl of miso soup.